This is States Rights Illinois. After appearing on States Rights' last two compilations and a long relationship of mutual interest we are so excited to be able to bring you Cains & Abels' first full length album Call Me Up. It's a big sounding record that swells and lilts in gorgeous ways while ranging from heartbreaking bombast to humble beauty. Themed around the desire for human connection, Cains & Abels' new album Call Me Up is the story of a specific relationship unraveling. Lush, atmospheric guitar and elemental drums work with the reaching vocal melodies to bring to life David Sampson's tumultuous inner world, torn apart by divorce and doubt, while revealing his vulnerable desire to be healed. The lyrics intone bleak pictures of birds of prey, bones, lonely highway drives and isolating landscapes, but are able to yield an overriding sense of hope. 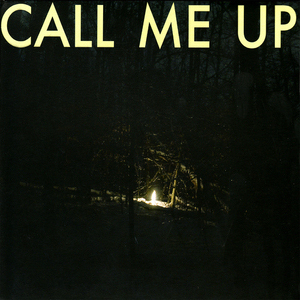 Call Me Up is the perfect showcase for Cains & Abels now as a four piece band progressing further from Sampson's previous incarnation as a mostly solo or solo plus one affair. The sum of four people plus an immaculate recording, Call Me Up will inhabit your days and fill them with beauty.